most valuable colonial mansions of the city, the Casona Ugarte. restoration of this historic monument, inspiring a grand period of restoration of historic buildings throughout the city. 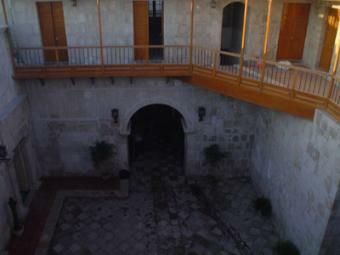 Peru has accomplished the recuperation of the majority of this antique property. support of foreign consultants with the objective of achieving an unequaled restoration of the property. most demanding areas of the second patio. and personal prosperity and economic strength. 4 and 5 star hotels presents an excellent opportunity for the hotel industry. for an international cultural center or hotel. Over 10,000 people pass by this monument daily. years, increasing the value of this area of the city. centerpieces of any financial and cultural portfolio.